Where is Mesa, AZ and its Historic Neighborhoods? 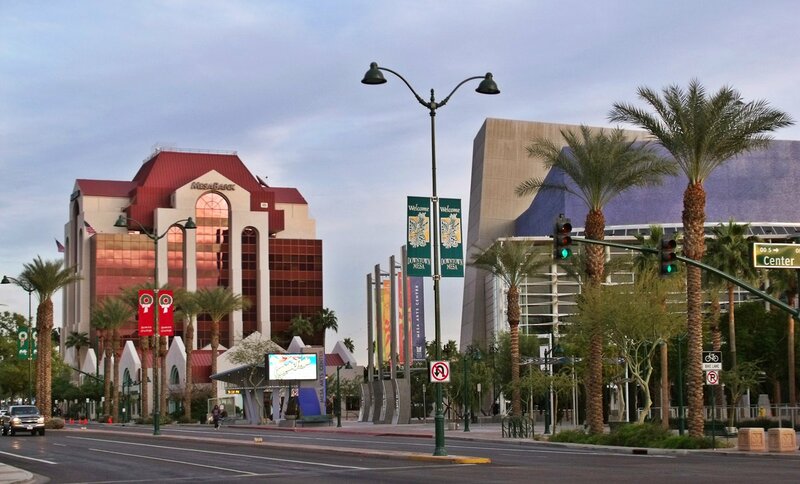 Located just east of Phoenix and neighboring Tempe, downtown Mesa, sometimes called Town Center, is home to about 3,000 residents. The area attracts young professionals, empty-nesters, and families with its easy access to the city. They also cherish the neighborhood’s historic architecture, which contrasts with the miles of cookie-cutter subdivisions, many stricken by the foreclosure epidemic, in the overbuilt metropolitan area. Original details like built-in ironing boards and telephone nooks, give the neighborhood’s homes something warm and comfortable that can’t be replicated in new construction. All that character, and a climate to die for, too. 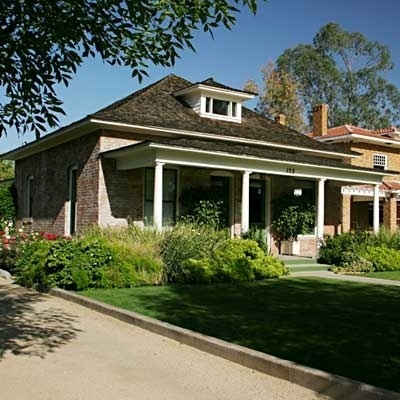 Thanks to the Roosevelt Dam and a year-round reliable water supply, gardens here flourish, as do the cottonwood trees. Walkers, runners, and cyclists enliven the sidewalk-scapes when much of the country is bundled up and snowed in. Craftsman bungalows, which comprise the most prominent architectural style, provide cool sanctuary during Mesa’s hot, arid months with wide porches and flowing air circulation. Downtown is also home to Spanish Eclectic, Tudor, and vernacular adobe houses. Starting at about $150,000, you can find a 1,000-square-foot bungalow needing little to no work. A midsize Spanish Eclectic or Tudor will certainly cost a bit more. Phoenix and its neighboring communities have long been public transportation-challenged, but by 2016, a light-rail extension will run through Main Street in Mesa and into downtown Phoenix, providing jobs, raising property values, and taking vehicles off the city’s congested highways. Hello, heavenly new commute. The West 2nd Street Historic District is the oldest historic district in Mesa and offers the most diverse architectural styles of any such district in the city. The neighborhood was listed on the National Register of Historic Place in 1999. It stands out due to its architectural designs and shows the evolution of Mesa’s most prominent families from the early 20th century. The Robson Historic District was listed on the National Register of Historic Places in 2003 and is within the original Mesa town site limits. The area shows several important examples of architectural styles common in Arizona during the first half of the 20th century.. The Evergreen Historic District consists of subdivisions built beyond the original town site, an important factor in the expansion of Mesa. It is significant for its association with the development of a cohesive neighborhood of middle and upper class families in Mesa from 1910 to 1948. The district was also listed on the National Register of Historic Places in 1999.